Her married name became Ponsonby. After her marriage, Elgiva Margaret Dundas was styled as Baroness de Mauley on 15 March 1945. From 18 July 1892, her married name became Dundas. From 2 October 1912, her married name became Cordeaux. Her married name became Lamb. 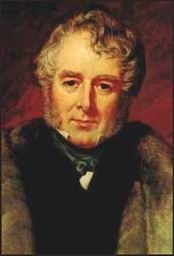 William Lamb, 2nd Viscount Melbourne was born on 15 March 1779. He was the son of Peniston Lamb, 1st Viscount Melbourne and Elizabeth Milbanke. He married Lady Caroline Ponsonby, daughter of Frederick Ponsonby, 3rd Earl of Bessborough and Lady Henrietta Frances Spencer, in 1805.3 He died on 24 November 1848 at age 69. He gained the title of 2nd Viscount Melbourne. [S6] G.E. Cokayne; with Vicary Gibbs, H.A. Doubleday, Geoffrey H. White, Duncan Warrand and Lord Howard de Walden, editors, The Complete Peerage of England, Scotland, Ireland, Great Britain and the United Kingdom, Extant, Extinct or Dormant, new ed., 13 volumes in 14 (1910-1959; reprint in 6 volumes, Gloucester, U.K.: Alan Sutton Publishing, 2000), volume II, page 173. Hereinafter cited as The Complete Peerage.